BERLIN (Bloomberg) -- BMW is accelerating a shift to battery-powered vehicles, developing lightweight carbon parts and slashing spending as it guards against a wave of consolidation in the auto industry. The moves are part of a go-it-alone strategy by the automaker that flies in the face of recent link-ups among carmakers. Porsche SE is merging with Volkswagen AG, while Daimler AG, Renault SA and Nissan Motor Co. last month announced a share swap to cement closer ties. Fiat SpA last year bought a stake in Chrysler Group. CEO Norbert Reithofer's stance has pleased investors, with the shares gaining 58 percent in the last year, and he's been supported in his moves by the Quandt family, the carmaker's dominant shareholders. His challenge will be to maintain the momentum as rivals become bigger and spend more on research and development, analysts said. The Quandts, a German industrial family which owns 46 percent of the carmaker, have for decades fought to keep BMW independent. Herbert Quandt, who inherited a 30 percent stake in BMW from his father, helped block a takeover offer from Daimler in 1959. Stefan Quandt and Susanne Klatten, two of Herbert's children, sit on BMW's supervisory board. Reithofer, who will discuss his vision for the carmaker at today's annual meeting, is targeting 6 billion euros ($7.4 billion) in cost cuts by 2012, moving forward plans to roll out an electric-powered city car by two years to 2013 and investing in carbon-fiber parts to gain an edge in lightweight technology. BMW is also developing front-wheel drive technology to serve as the basis for the Mini and namesake brand. Front-wheel drive cars, a departure for BMW because it's dominated by rear- wheel drive vehicles, are typically cheaper to make. BMW, which toppled Mercedes as the world's largest luxury car maker in 2005, has increased sales by 27 percent since 2000. The manufacturer aims to boost earnings before interest and tax from automaking to at least 8 percent of sales by 2012. While leading the high-end segment with models like the 5-series sedan and X5 sport-utility vehicle, BMW is smaller than key rivals. Volkswagen, which owns Audi, Bentley and Lamborghini, sells more than four times as many cars. Daimler is 42 percent bigger in terms of market value and, along with making Mercedes-Benz brand cars, is also the world's largest producer of heavy trucks. With a 2010 sales target of 1.3 million vehicles, BMW falls short of the target of 5 million cars that Fiat CEO Sergio Marchionne maintains is needed for survival. This line of thinking and pressure from the financial crisis sparked a flurry of dealmaking in the past year. Fiat acquired 20 percent of Chrysler as part of a deal for the U.S. carmaker's bankruptcy exit. Volkswagen has agreed to merge with Porsche SE and has taken a 19.9 percent stake in Suzuki Motor Corp. Daimler and the Renault-Nissan alliance swapped 3.1 percent stakes last month to seal a vehicle and engine development partnership. BMW, while shunning mergers and financial link-ups with rivals, has lowered development costs by cooperating with PSA/Peugeot-Citroen on the Mini brand and forming a purchasing partnership with Mercedes. 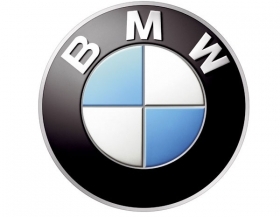 BMW and Mercedes have reached agreements over the past several months that will help each company reduce spending by about 100 million euros a year by 2012, Herbert Diess, BMW's purchasing chief, said two weeks ago. BMW has also teamed up with SGL Carbon SE to make lightweight parts from carbon fibers in order to lower the weight of battery-powered cars. The two companies are investing $100 million to build a plant near Seattle in the U.S. to build the fibers.